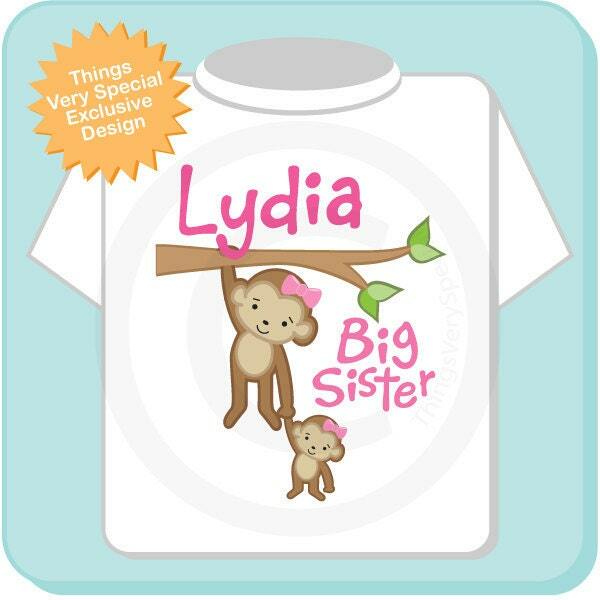 Super cute Personalized Big Sister tee shirt with awesome monkey big sister and little sister with her. 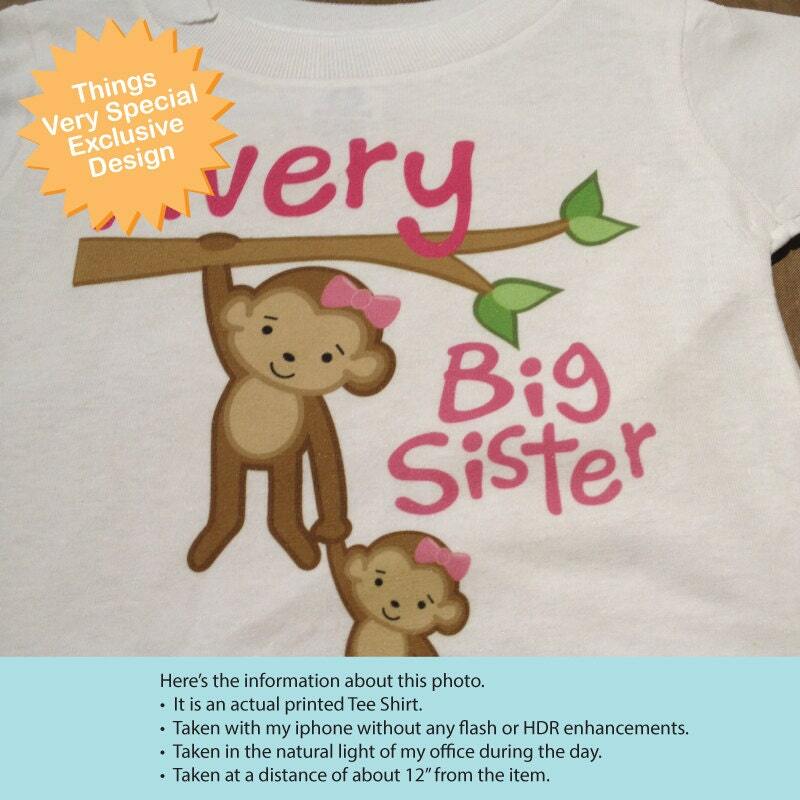 My daughter loved it. 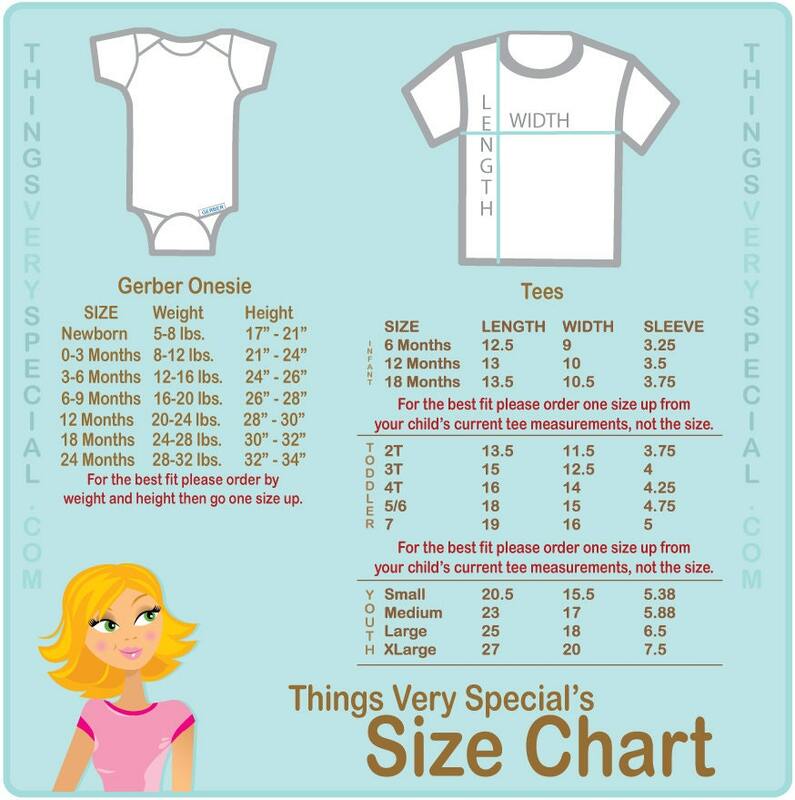 Good quality and quick delivery. 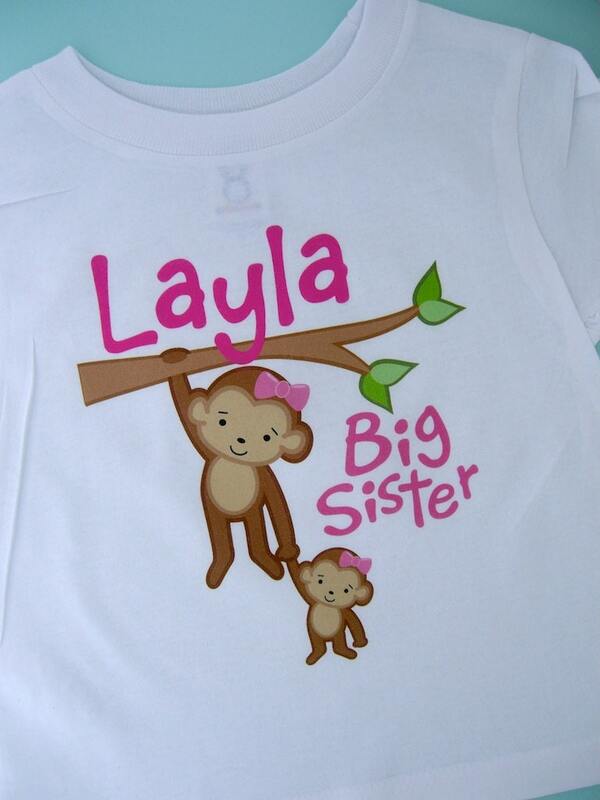 So excited for my daughter to wear this adorable Big Sister shirt! It turned out great! Thank you! Too cute! My daughter LOVES it!